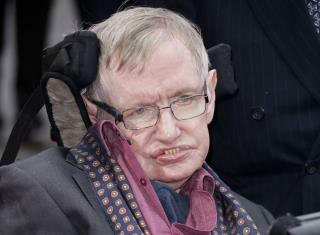 (Newser) – A new Stephen Hawking book came out Tuesday, and the late physicist issues a warning in it that sounds straight out of a dystopian sci-fi movie. Hawking worries that genetic editing will allow the rich to turn themselves into "superhumans" who will eventually dominate the world and perhaps the universe, reports the Guardian. "Once such superhumans appear, there will be significant political problems with unimproved humans, who won’t be able to compete," warns Hawking in Brief Answers to the Big Questions, as excerpted in London's Sunday Times. "Presumably, they will die out, or become unimportant. Instead, there will be a race of self-designing beings who are improving at an ever-increasing rate." Hawking says the first stages of this development will be beneficial, with fixes to diseases such as muscular dystrophy through technology such as CRISPR. I would think that a great mind like Stephens would have reason to also notice along the way that life on this planet has never been fair and that fact will never change. The privileged who do well generally look out for their own first and foremost with the rest of us scrambling for the crumbs that seem to get away from them.